Drudge: Stress Is Making Cable News Anchors Sick - Joe.My.God. 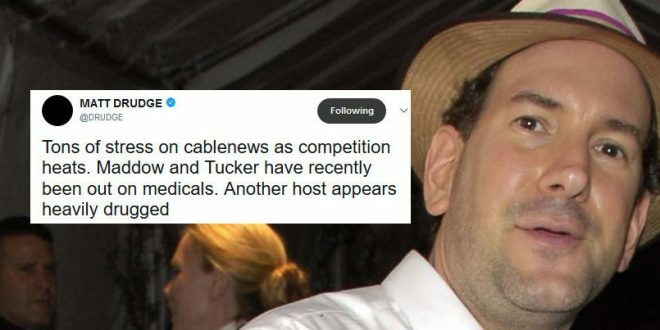 Drudge’s tweet referred to Carlson missing his Thursday program due to appendicitis and Maddow missing nearly two weeks of hosting her prime-time program due to an undisclosed illness. It is not known who the other host that Drudge is referring to being as “heavily drugged” is. Since when does stress cause appendicitis?